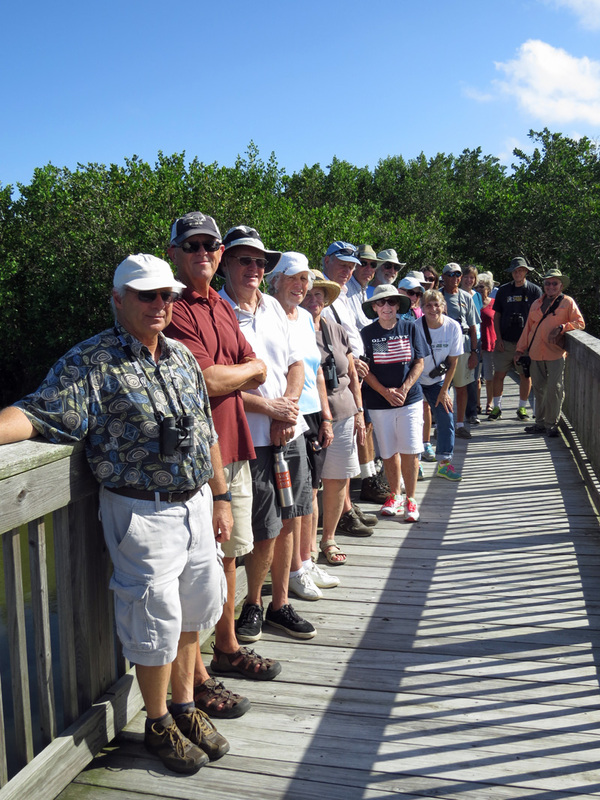 Indian River Mosquito Control Director Doug Carlson, pictured above in the distance, led a wonderful walk at Spoonbill Marsh on the afternoon of 11-7-2015. 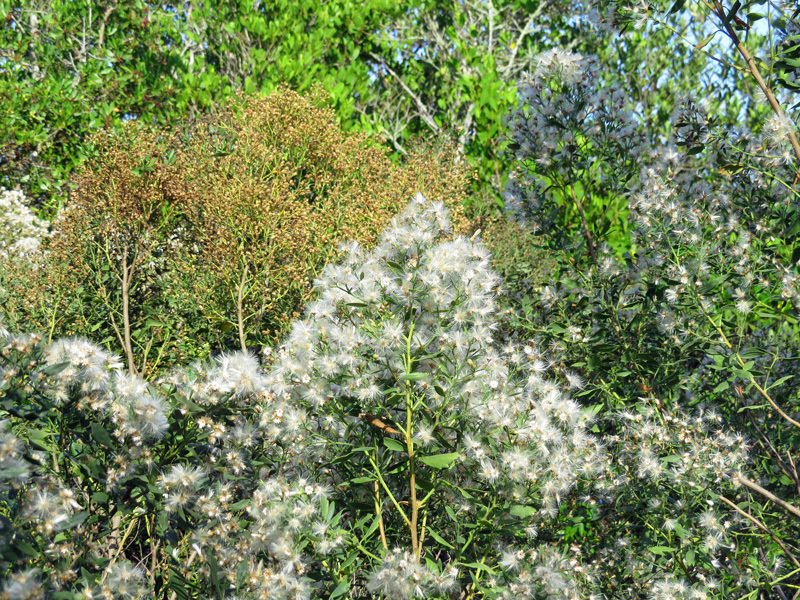 The saltbush (Baccharis halimifolia), the plant festooned with white fluff above, and the spiders were stupendous and somewhat commingled. Doug Carlson, Denny Dawson, Gayle Lafferty, John Kennedy, Joan Klimm, Maria Titherington & her mom, Tara McTaggart, Diane Morgan, Steve Palmquist, Karen & Don Schuster, Lorraine & Peter Sutherland, Anna Marie & Walt Staudenmaier, Jeanne & Michael Walther and John Warner politely posed at the start of the trip. 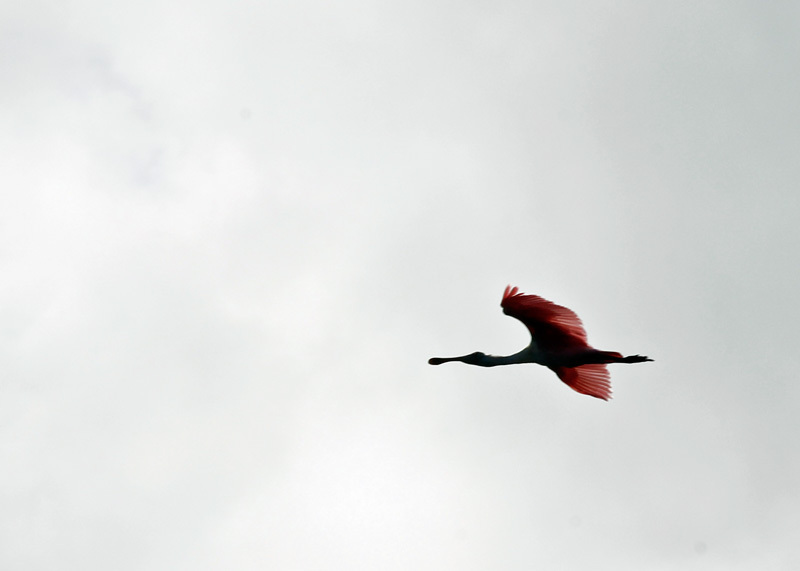 The early laggards were lucky enough to spot the one-and-only roseate spoonbill shown above in a photo by Karen Schuster (Class of 2008). 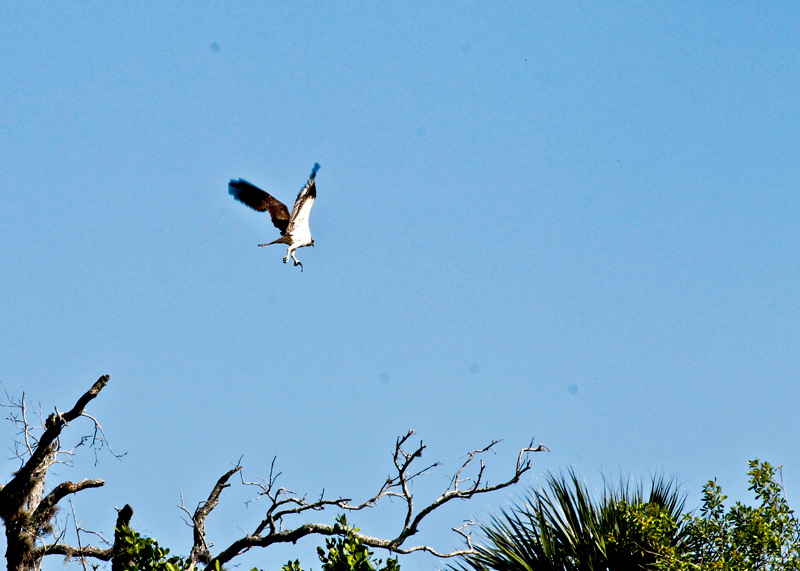 She also photographed an osprey, a far more common sight, at the beginning of the trip. 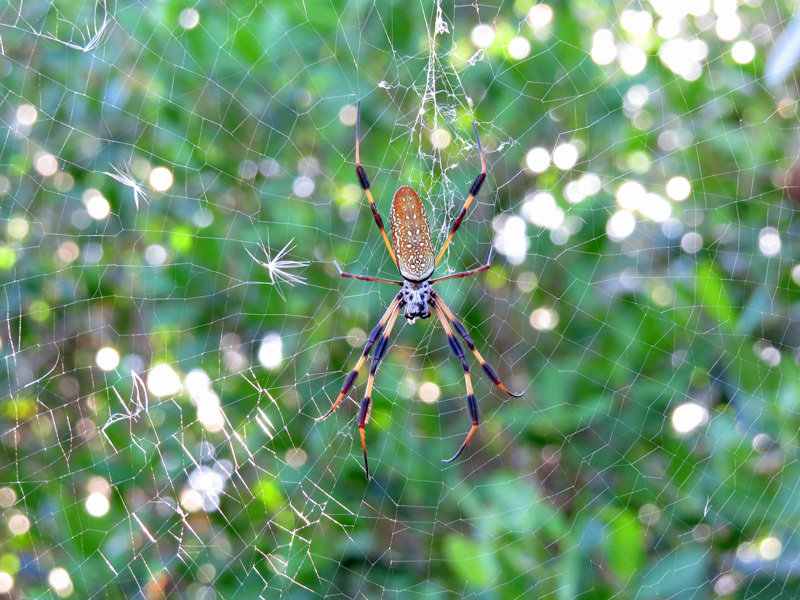 The end of trip laggards gushed over the plentiful golden silk spiders (Nephila clavipes), one of the largest spiders found in the U.S., shown here with prey in a photo by Karen Schuster. 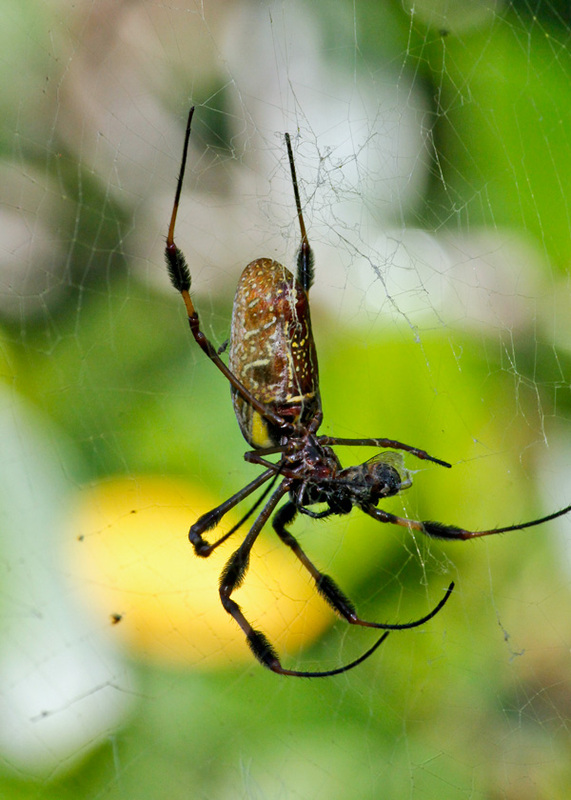 Female golden silk spiders are far larger and showier than males. 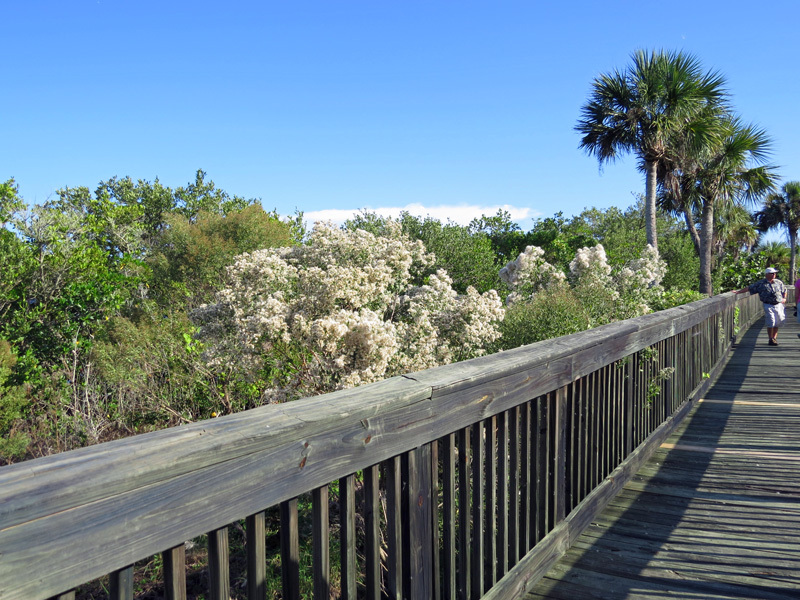 When flowering, female saltbushes with their seed-laden silken bristles are far more showy than male saltbushes shown in the background. Saltbush is pollinated by the wind (anemophily), and we saw an abundance of airborne saltbush seeds caught in spider webs. 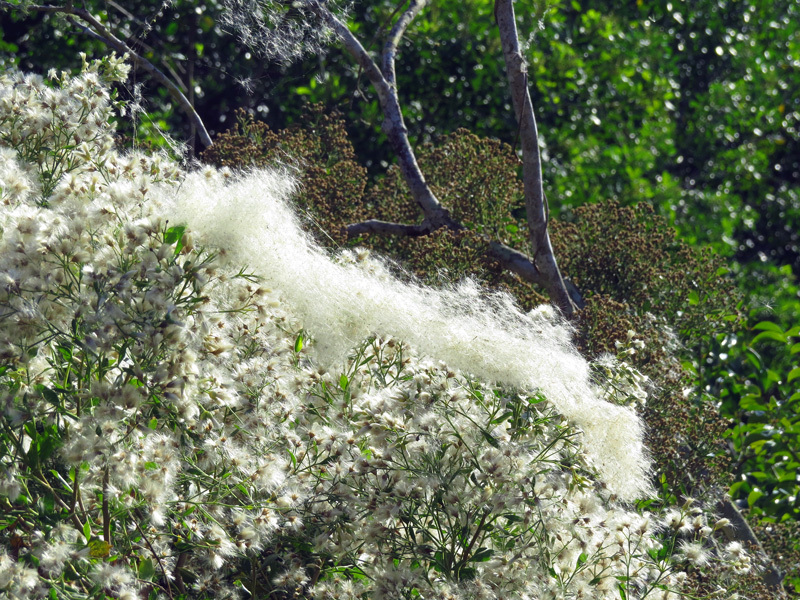 Wind had liberated part of a spider web that had been attached to a saltbush and had entrapped lots of formerly airborne saltbush seeds so that a white foam of fluff floated in breeze.